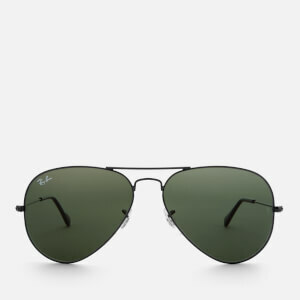 The iconic Ray-Ban ‘Aviator’ sunglasses were designed in 1937 and originally intended for U.S. aviators to protect against high altitude glare. 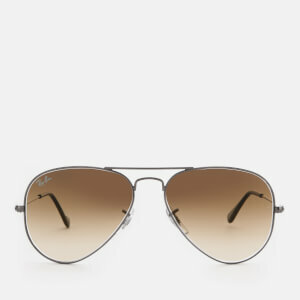 Crafted with gold-tone metal wire frames, the classic sunglasses have light brown gradient lenses that provide 100% UV protection. 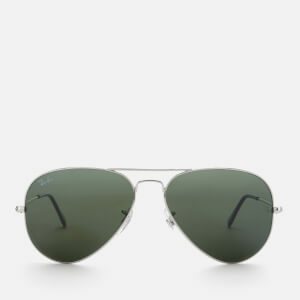 Complete with signature branding on the right lens, tonal temple tips and a branded case.